Real Madrid star and midfielder Isco has confirmed that he will not leave the Los Blancos in January, despite interest from Juventus and Manchester City. Isco has fallen out of favor under the tutelage of Santiago Solari, months after helping Real win their third UEFA Champions League in a row. 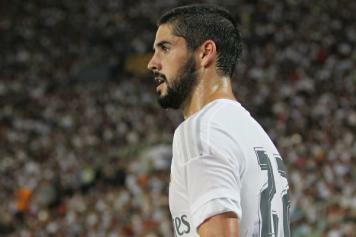 So far this season, Isco has made only five starts in the La Liga, making six appearances from the bench for the club. Isco was recently talking to Deportes Cuatro about his future and he addressed the rumors linking him with a January exit to Manchester City or Juventus. He said: " I have so many expectations for the new year, I will not leave in January, I'm very happy and I want to keep winning here at Madrid." Isco has a release clause of 700 million euros in his current contract and if not in January, he could yet to look to move away from the merengues in the upcoming summer transfer window.